After steady if unspectacular international business in Toronto, some are conceding privately that the natural hope for a rebound at the AFM needs to be tempered. The independent sector remains resourceful and ambitious, but the cyclical nature of the business means that newly available A-list packages with global theatrical appeal that are ready to sell now, such as The Wolf Of Wall Street or The Voices, are thin on the ground. That said, an active North American investor base tied to ongoing demand from international buyers will inevitably spur a rash of eleventh hour announcements. The cachet of a US distribution deal is returning, supported by early successes for young distributors such as FilmDistrict and Open Road and select partnerships with US majors that speak to the strength of the sector. Films that originated in the space have prospered at the US box office recently, such as EuropaCorp’s Taken 2 through Fox, Endgame and Chinese partner DMG Entertainment’s Looper through TriStar/FilmDistrict, Exclusive Media’s End Of Watch through Open Road, and FilmNation and A Bigger Boat’s House At The End Of The Street through Relativity. The $685m global success of Lionsgate’s The Hunger Games inspires optimism and anticipation rides high for the in-production sequel The Hunger Games: Catching Fire. “I like it when The Hunger Games performs well because it’s good for the whole ecosystem,” says Sierra/Affinity president and CEO Nick Meyer, whose sales titles The Place Beyond The Pines and Emperor both found US buyers in Toronto. For buyers and sellers who align themselves with capital sources, the rewards can be great. But challenges endure and ongoing financial woes in certain territories, compounded by volatile TV markets and the slow growth of a global digital business that is regarded as the heir apparent to the collapsed DVD sector, offer pause for thought. “The bullish case is Latin America led by Brazil and Mexico, plus Russia and China,” says QED International founder and CEO Bill Block, who has four films on the runway including David Ayer’s thriller Ten with Arnold Schwarzenegger. Household names such as the former governor of California or Zac Efron are willing to work outside the studio system but they are in high demand. “Casting is difficult,” agrees UK-born financier Myles Nestel, who joined forces in January with sales veteran Lisa Wilson and found backing from private equity and Wall Street to launch The Solution Entertainment Group. The company plans a November start on Felony, an Australian thriller with Joel Edgerton and Tom Wilkinson, and expects the Pierce Brosnan thriller November Man to go in the first quarter of 2013. Last summer Nestel and Wilson brought on Ruzanna Kegeyan to head the new genre label Synchronicity, which is introducing the Elijah Wood horror vehicle Cooties, among others. FilmNation is another player that has moved aggressively into financing and the company is on board for David Michod’s Animal Kingdom follow-up The Rover as well as the comedy Premature, which has just wrapped. 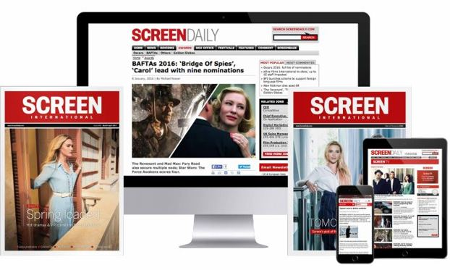 Exclusive Media has ramped up operations in a big way, boarding projects as producer-financier, signing deals with Cross Creek Pictures and Scott Pictures International and launching the domestic distributor Exclusive Releasing. President of international sales and distribution Alex Walton notes that the risk involved in financing has turned the high-end independent space into a precision business, but that has not dampened his optimism. “Hopefully we have become more of a destination for film-makers and we are keeping the promises we make.” Liam Neeson thriller A Walk Among The Tombstones with Cross Creek Pictures has already notched up pre-sales and is set to begin shooting at the end of February 2013. Universal will distribute in the US. Lightning Entertainment is moving into production following an influx of capital and will initially look to produce in the sub-$5m range. “We have been getting in earlier on projects and committing capital in terms of MGs or cash-flowing production so we can work with producers and projects are better received in international markets,” says president Robert Beaumont. The crossover between independents and studios should see a steady flow of high-end product to the marketplace. David Garrett’s fledgling sales agency Mister Smith Entertainment set tongues wagging in late August when the former Summit International president struck a deal to sell DreamWorks titles in Europe, the Middle East and Africa (Disney retains distribution rights elsewhere including the US). The partnership adds prestige to Mister Smith and generates production capital for DreamWorks, which through Garrett has established output deals with the likes of Mister Smith investor Constantin in Germany and Switzerland and eOne in the UK and Benelux. Mark Damon’s Foresight Unlimited is bringing two re-energised development projects from the Universal vaults to the market - European Film Market hit 2 Guns and Lone Survivor, which recently started production - through its association with Emmett/Furla Films and the deep pockets of backer Envision Entertainment. “The studios are beginning to split the risk with independents like ourselves who have access to equity financing and the top foreign buyers,” says Damon. Worldview Entertainment is one of several hyperactive financiers and announced deals at Toronto on Eli Roth’s eco-horror The Green Inferno and David Gordon Green’s drama Joe, among others. The company launched almost five years ago and bided its time before it signed with CAA and invested in anticipated work such as James Gray’s upcoming untitled Ellis Island drama and Atom Egoyan’s Devil’s Knot with Reese Witherspoon and Colin Firth. Maggie Monteith’s Dignity Film Finance has been around for two years and it too is becoming more visible, funding Elijah Wood comedy The Late Bloomer and coming-of-age drama Believe (aka Theatre Of Dreams). “I am excited about AFM because this feels like an industry that has confidence,” says Monteith.